The resilience of a society is tested under time of trial produced by internal and external pressures. That should not presuppose that all societies respond in identical manner to catastrophes of higher scale and intensity. A few endure far better than others. This brief exposition is about the salience of such a social code of conduct known as Pakhtunwali, which has been prevalent for centuries in the Pakhtun society, that lives in north-west Pakistan and eastern parts of Afghanistan. Pakhtunwali (also known as Pashtunwali Pashtunwalei or Pashtungwali) literally means Pathan’s Way or Pashtunness. Pakhtunwali embellishes people with a cultural ethos to stand with those bereaved by sufferings. It is an umbrella term which is composed by a few cardinal principles accumulated over a period of three to four thousand years reflecting the multiple worldviews of all the people who interacted with the Pakhtuns in the historic Gandhara civilization. Among a few others, Melmastia (hospitality and protection to every guest) constitutes a key component of Pakhtunwali. There is an unwritten but time honored tradition that a Pakhtun will not abandon his guest even for gold. Melmastia among Pakhtuns is the focus of this note. Pakistan has been exposed to tribulations of various sorts several times since conflict began in its western neighbourhood. It has experienced high south bound migratory inflows since 1960 from the tribal areas and present day Khyber Pakhtunkhwa (KP-former North Western Frontier Province) to the cosmopolitan city of Karachi, as people seek to avail economic opportunities. Furthermore, the country has experienced one of the largest population exoduses from neighbouring country Afghanistan, along with unprecedented internal displacement caused by violent instability. Soviet Invasion of Afghanistan in December 1979 resulted into the formation of the first major international Afghan refugee enclave in Pakistan. Soon they would swell to nearly three million, spreading across the entire country with the major share being borne by the KP and Pakhtun belt of Balochistan. Over the years, many of them have gone back to Afghanistan or gulf countries, but about 1.6 million are still Pakistan. While relative to the size of populations, Lebanon and Jordan host the largest number of refugees; in terms of the size of economy the burden carried by Ethiopia and Pakistan is the greatest. In addition to the influx of refugees, KP has witnessed phenomenal internal displacement during the recent past. The first displacement was caused by Operation Rah-e-Rast launched in May 2009 to restore normalcy in terrorism struck Malakand Division, and in the district of Swat. The fighting prompted the largest displacement of people since the Rwandan genocide, sending 2.3 million fleeing to northern districts or elsewhere in different parts of KP. A relatively small forced displacement occurred again during 2009, when the military campaign was launched in South Waziristan Agency to neutralize the stronghold of Taliban in tribal areas. These IDPs (internally displace people) were sheltered in southern districts of KP. Gradually however, they were rehabilitated back to their native locations. The most recent upheaval of IDPs that the KP had to endure ensued due to ongoing Operation Zarb-e-Azb in North Waziristan Agency. Approximately, 800,000 were rendered homeless as a consequence of this intervention directed at ridding the country of a terrorists’ centre of operation. Incidentally all of the above dislocations involve Pakhtun ethnicity. Since the onset of the armed conflicts under review, the government of Pakistan in collaboration with provincial authorities, various NGOs and the UN agencies has been engaged in reception, local settlement and repatriation of the refugees and IDPs. It is noteworthy that more than the governmental and supranational bodies, the people of KP and Balochi Pakhtun were the principal benefactors of their homeless brethren. 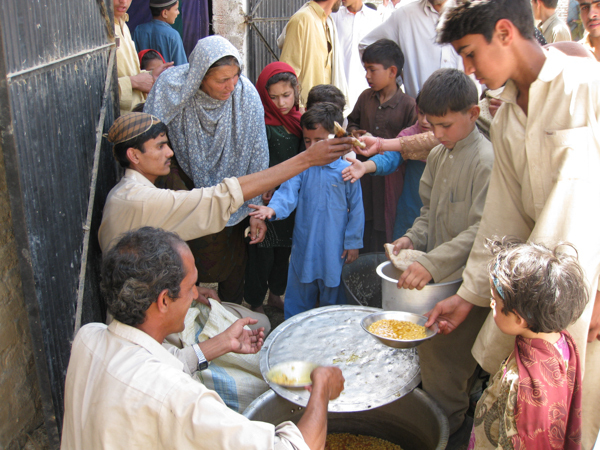 The Afghan refugees were welcomed and accepted within the social setting as part of the historical lineage connecting the Pakhtuns across Durand Line. Not only did the locals offer shelter, they also went to the extent of letting the guests share their belongings. Those who owned land or operated a business provided material means for subsistence. There were intermarriages through long standing social processes. Apart from the officially overseen refugee camps housing thousands, new dwellings emerged in several parts of KP and Balochistan, later named after the Mohijirs i.e., migrants. The leading philanthropists too aided establishments of these refugee settlements. In time, nearly 30 percent of Afghans have been naturalized in Pakistan, many of whom are now thriving with equal benefits granted to every other citizen in Pakistan. This socio-economic and ethnic metamorphism however has not been without problems for the natives, taking the form of petty and organized crimes. As is generally perceived, the IDPs e.g., from Swat were not only cared for by the government and UN organs. A lesser-known but equally critical fact is that less than 20 percent of the IDPs took shelter in the refugee camps set up by the government and aid organizations. The majority of them sought refuge in the homes of local Pakhtun “host” families. In many places, help was institutionalized by village councils of elders by pooling resource for IDPs. More importantly, the “host families” abhorred to refer to the new guests as IDPs or refugees, but as community members entitled to the benefits of the centuries long tradition of Melmastia. In fact, lower and middle class families in several districts of KP, especially in Mardan and Swabi shared food, bedrooms and washrooms. The help rendered was considered a cultural obligation more than a social burden. Currently, Swat stands clear of militants after restoration of considerable degree of government writ. The majority of the IDPs have returned to their homes albeit some are still awaiting reconstruction of their households and businesses; but impressive handling of the whole rehabilitation effort by Pakistan was nevertheless lauded by the international community. The IDPs from tribal areas were extended similar hospitality by Pakhtuns of Kohat, Bannu, Tank and Dera Ismail Khan. Only some few hundreds of them have gone back home, with a sizeable majority still being looked after by their kith and kin. The challenges besetting the social conditions by the Afghan refugees and by IDPs continue to persist, nevertheless the traditional zeal and fervor of the Pakhtuns for Melmestia has not waned. This social code of conduct needs to be generalized by societies accustomed to nuclear ways of social living, after all humanity has survived through the grind of ‘natural selection’ by abiding the eternal appeals of co-existence such as Melmestia. The Durand Line was created by the British in 1893 dividing tribes across Afghanistan and Pakistan. It now marks the border between the two countries. Text of the statements of co-chairs at the ministerial meeting of the Friends of Democratic Pakistan, Istanbul, Aug 25, 2009, Pakistan Horizon 62 no. 4 (Oct 2009): 126. Muhammad Feyyaz holds an M.phil. degree in peace and conflict studies from the National Defence University, Islamabad, and a master’s in war studies from Quaid-e- Azam University, Islamabad. 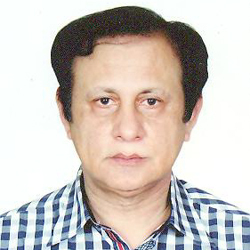 He teaches at the School of Governance and Society, University of Management and Technology, Lahore Pakistan.